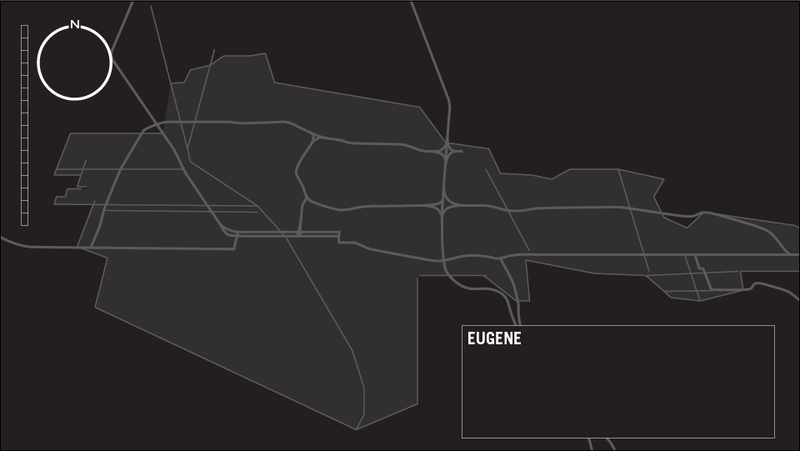 The Nike Heat Map is a visualization of Nike+ running data from around Eugene Oregon. It includes three states. Highlighted running trails located in Eugene Oregon. This includes information such as the name of the trail, the trail head, 1/4 mile makers, the length of the run, and elevation gain/loss. Monthly running data. A month's worth of local running data sped up to highlight popular running areas. 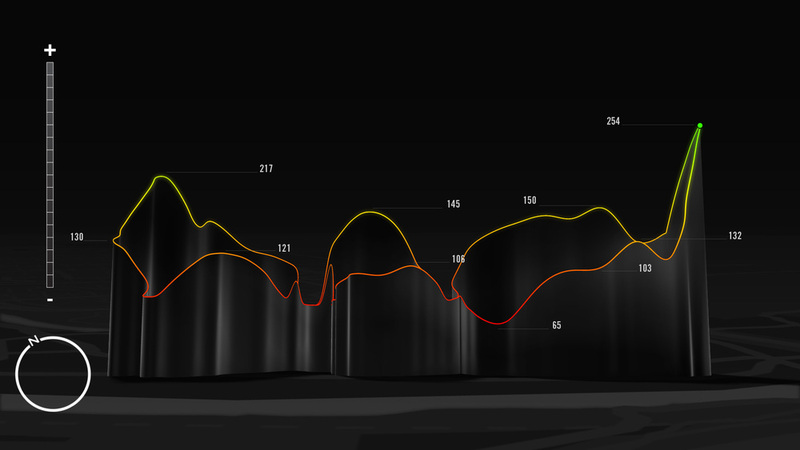 Daily running data. Updated daily, and showing individual runners, with their Nike+ profile name. The large touch screen does all of the actions of user would expect (pan, rotate, zoom). Constraints, such as a consistent 45 degree angle, were put in place to create a more focused experience. The heat map went on to be customized for several different cities around the world. And was used in a later project called the Community Board (By this time I was on another project, but I was asked to check in now to make sure that we were getting a consistent look). Senior Designer: Initial sketches, design explorations, and UI. Art Director: Once we were happy the design, a creative technologist was brought in (Ivan Safrin). It was job to check in daily, ask for tweaks, and continue to improve the design as it was being made. Sketch pad, Photoshop, Illustrator, InDesign, Maya. 3 weeks for the initial product. Creative Director, Art Director (Myself), Ivan Safrin. A early work-in-progress of the actual application. Code by Ivan Safrin.